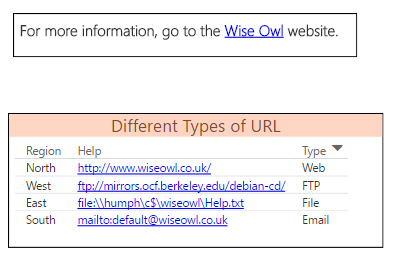 Some of the different types of link you can create (others include news and telnet). 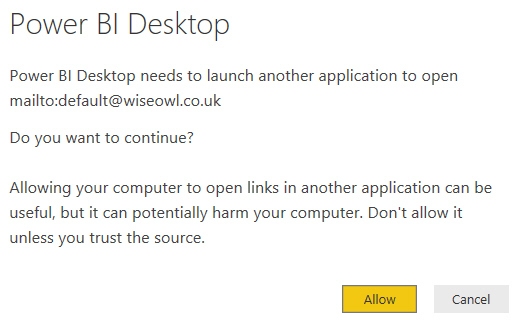 The warning I get when I click on the email link. This table gives different help references for each region. Choose this option on the Modeling menu. The Web URL column shows up as links. 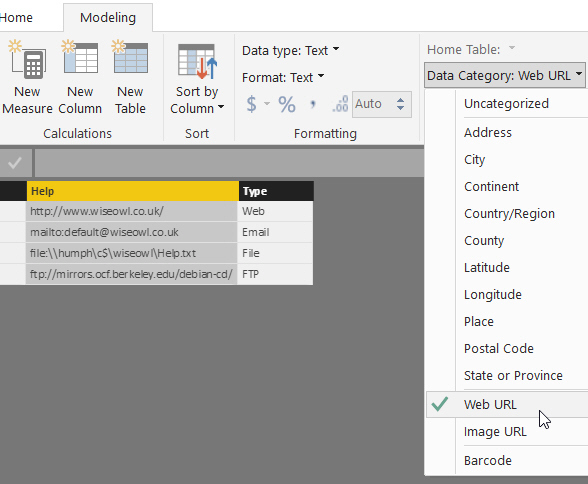 Choose to display URL icons in the Values section of the Formatting pane. Clicking on the links will still do the same thing as before. You can select text and choose a website address for it. The link looks like ... a link! Irritatingly, when you change the format of the text in the box or try to edit the link, the URL you've entered seems to keep disappearing!